I read on a forum somewhere a comment relating to an individual’s initial response to the Leica M-A as being – in their words – “underwhelming”. When I first read this comment I didn’t think a great deal of it, it was just another comment on just another forum; I dismissed it as an empty or shallow opinion from just another naysayer. That’s pretty much the usual response to forum commentary I feel in someway doesn’t echo my own views, there is so much of it that it’s easier just to filter and disregard as much of it as quickly and effortlessly as possible. Of course, dismissal of this comment on my part was at best unfair to this person, but it was also entirely shortsighted. I hadn’t even seen a Leica M-A in the flesh at the time, so how could I possibly judge the validity of the statement? Well basically I assumed that being underwhelmed by something that’s pictures I had all but drooled over would be impossible. I was wrong, when I first played with a Leica M-A, I was also somewhat underwhelmed. 0.4 So it’s just a mush of old bits…? 0.8 So what does the Leica M-A means for me? I saw the Leica M-A for the first time at the Photography Show at the NEC in late March. My main mission for the day was to find the person at the Leica stand who was in a position to make the decision to loan me a Leica M-A for me to fondle review. I found said person and after a quick chat it was decided I could borrow the review copy just as soon as it was available. Brilliant. But whilst I was there I wanted to have a quick go with an M-A. I’d even taken along my recently serviced M3 and M7 to compare it to. Upon picking it up, all of a sudden I completely understood this persons comment. That isn’t to say that I thought it was in some way poor, just there wasn’t anything about it that knocked my socks off. In hindsight I realise that it’s the comparisons I made in that bustling exhibition to my M3 and M7 that entirely qualify that sense of being underwhelmed. You see, I already own/have owned a Leica M3, M4-2, M4-P, M6 and Leica M7. I realise how spoiled that makes me sound, but actually being spoiled is exactly the problem. On face value, there is actually very little about the M-A to get excited about; it brings nothing particularly new to the table. It is essentially a combination of previous designs and refinements put together to create another new iteration of a concept that to a great extent has been proven time and time again. So there is little point in the Leica M-A then? Well actually I think there is a little more to the Leica M-A than might initially meet the eye, both in terms of what it is as a functional object and what it represents as a product. 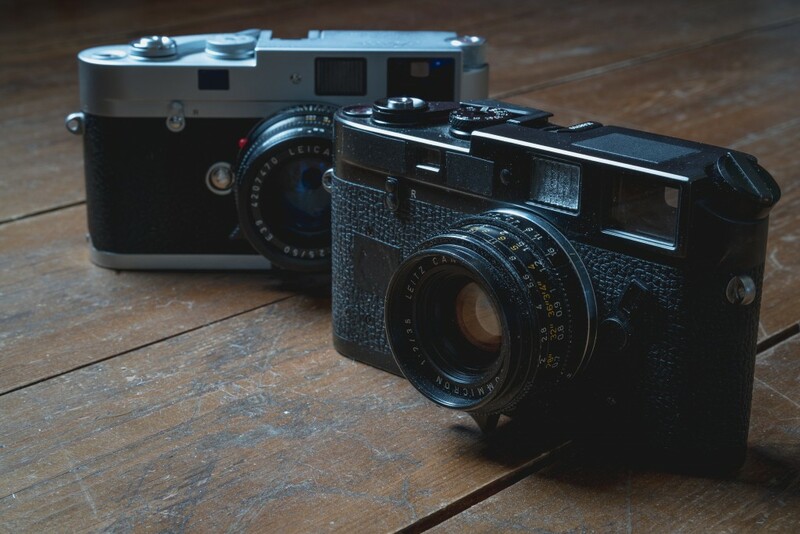 Since it’s almost entirely constructed of designs and features from previous cameras, it seems to me that to best understand the M-A is to compare it to these older siblings. Holding it up against the best and worst iterations of this 61 year old design is the best way to see it for what it is. I just hope – in my relatively limited experience – I can do these comparisons justice. In many ways, I think a comparison to an M3 is one of the safest comparisons that can be made. Outside of special editions every single Leica M body since the M3 has seen either cost saving or the use of parts that don’t, in my humble opinion, quite match the quality of the rest of the camera. I mentioned this opinion in my Leica M3 review, but I will just reiterate for the sake of clarity. The M2 was built as a less expensive M3. The M4 was where plastic parts were introduced. 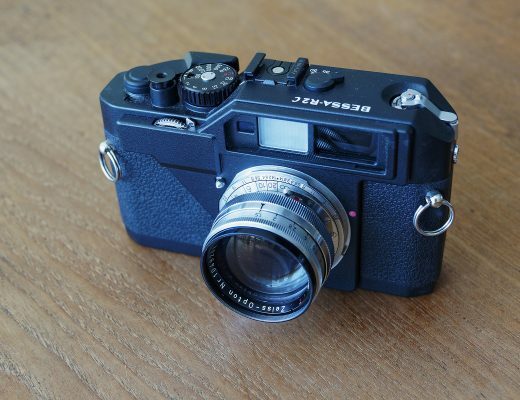 The M5 was an attempt to do something special, but it fell on deaf ears, then when it damaged Leica so much, they had to resort to further cost saving measures. The resulting M4-2, though a great camera in its own right, was built more cheaply, and is rightly or wrongly regarded as the “cheap” Leica. The M4-P retained pretty much the same status. The M6 is an oddity in my mind, as despite having an seemingly untouchable status among many Leica shooters was even more cheaply constructed with zinc parts replacing brass parts of before. The early ones even had plastic internal parts. The M7 returned Leica to the use of brass, but certain parts of it really make me question what the hell Leica were thinking! That dial on the back – as I go on about in my M7 review – is an abomination that does nothing for the sense of overall quality. I forgive it, as I love the camera, but it irks me when I’m forced to use it. Even the MP, which supposedly stands for Mechanical Perfection includes the slightly crappy plastic battery cover and ISO selecting dial similar to those found on the back of M7 and M6 that came before. The Leica M-A on the other hand feels like it shares the design philosophy of M3, a philosophy of absolutely no cost cutting measures at all. Cast your eye over the back of the camera and you won’t see a plastic bit of crap dial, you will see an ISO dial that’s made of metal and is in fact reminiscent of the one first seen on the M3; it’s just a little more modern looking in its design. But, unless I’m mistaken, this ISO dial is pretty much the only part that hasn’t been seen on another Leica that came before it. Every other part of the camera can be identified as originating on one or another of the cameras in the Leica M-A’s 60 year family tree. To start at the beginning, there are several features of the Leica M-A that were first seen on the M3. The all metal film advance, the knurled metal rewind nob with the two little red dots on top (seen in the later M3s) and the metal surround to the lens release button. The shutter speed dial is small and is notched to allow the attachment of a coupled light meter. Its shot counter is also enclosed in the body and viewed through a little hole, a feature that was dropped in favour of an external manually set shot counter for cost savings sake on the subsequent M2. Like the M2 though it does have a .72x magnification finder with a Fresnel frame line illumination window. In fact if you hold it up next to the M2 it looks pretty much the same from the front. The viewfinder window frame is flush to the front and it lacks the self timer in the same way the more common M2s do. The M4 that followed the M2 returned the shot counter to the inside of the top plate a la M3, but it also included the first plastic parts. But, as I say, none of these plastic pasts are inherited by the M-A. There is though one important thing the Leica M-A does inherit from the M4, and that is the quick loading mechanism. This might be an issue for some, but in my view it is a a big step up from the early separate more fiddly take up spool. It terms of inherited external or easily visible parts, it then skips a couple of generations past the M5 and M4-2 to the M4-P. I’m going to talk a little more about the M4-P for different reasons in a moment, but since I am identifying the M-A’s heritage it’s worth pointing out here that the 6 frame line viewfinder configuration the Leica M-A originated with the M4-P.
After that, things become a little less obvious. The viewfinder glass is coated, which is something I think that originated in the M6, maybe M7? Though I suspect the viewfinder and indeed the coating as it currently stands is actually shared with the MP. The MP viewfinder was also better sealed off to the outside world, and doesn’t let dust in to the same extent some previous finders did (my early M7 included). It also has the condenser in the rangefinder mechanism that was in the original M’s, removed on the M4-2 and then returned on the MP. Don’t ask me what that is though, I don’t have a clue, I think it is supposed to make the rangefinder patch brighter or clearer? Another thing I don’t really have a clue about is the internal construction… I’m not one for taking these things apart. It’s said to be the same as the MP, which I imagine is fairly similar to the early cameras, what with it being fully mechanical. I suspect though that it shares internal construction method with the later M cameras that started with the M4-2. Since my mate Alex’s M4-P remains to this day one of the smoothest feeling Leica’s I’ve used, I’m not sure that matters much? Others would no doubt argue with me on that point? So it’s just a mush of old bits…? It could be (and in fact is in many places out there in internet-land) argued that this lack of invention, lack of anything new (apart from the ISO dial) makes for a pointless camera. Why not just buy an older M for a fraction on the price and have it serviced? There is after all no reason a serviced older M wouldn’t be as good or as long lasting. As I said before, it’s definitely this lack of anything new that might lead to a sense of being underwhelmed. Why would anyone get all that excited about something they have basically seen before on various iterations of a design that has been rehashed yet again. Well, personally I think some of the problem is down to human nature. We are, as human beings, strongly programmed to expect something bigger, better, faster etc from a new iteration of something, especially within the world of camera manufacture. Because of this, when we are faced with the sort of level of subtle improvement the Leica M-A brings, I think it’s quite natural that we can be underwhelmed. But, if you turn the idea that this camera is just a bunch of bits we have seen before on its head and say, actually, this camera is a cherry picking of all of the best bits we have seen before, then that sense of being underwhelmed might also get turned on its head. In fact, if you agree, subjectively speaking, that this camera is a mush off all of the best bits that came before then it stops being a pointless thing, and actually it could be said to make ownership of any other Leica M film camera underwhelming. I shall get to whether or not I agree with this personally in a moment. I had to have a chuckle at the marketing babble on the Leica website. It refers to the Leica M-A as slimmer than a digital, and the design as being reminiscent of the Monocrom. I suppose, you can’t argue with the facts, but as someone who’s never owned a digital Leica, I think of them as fatter than the film cameras not the other way round. It’s the same size as my M3 and M4-P, with the M7 being a touch taller. 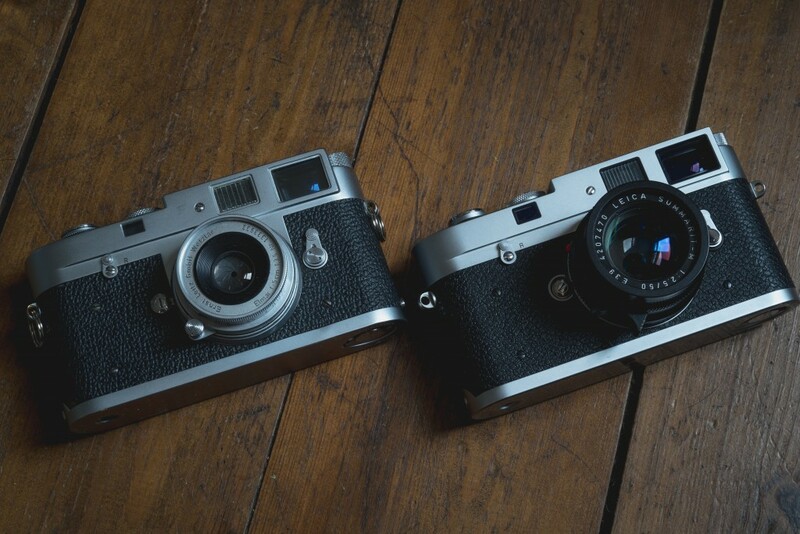 Excluding the M5, they have been pretty much the same size since the M3 was launched 61 years ago, so to refer to them as being slimmer than a digital just seems a bit odd. Of course, I’m aware of the reality that the market for digitals must dwarf that of the film cameras, so in Leica’s eyes perhaps far more potential customers are current digital owners rather than film camera owners of old? This is actually something that seems reflected in some people’s response to the Leica M-A in the film photography community. As I’ve already paraphrased, some Leica film shooters have asked why Leica would release this camera. Who is going to buy it? Many of them claim things like “I’d much rather spend that sort of money on a black paint M4”. I wonder if Leica are aware of this, and so choose to market their new film camera more toward the digital new-camera buyers out there? They must be aware of a slow but steady babbling resurgence of film photography, maybe they feel that they can tap into that by tempting some of their dedicated digital-shooters to film. Regardless of this, to my mind at least, simply by the merit of making the thing they are definitely showing an awareness of the film shooting community, and frankly, whatever you might think of the M-A, I think they should be applauded for it. Though I should add, it does make for a strange world where, unless I’m mistaken, the only two brands that make, or at very least continue to release new 35mm compact are Leica and Lomography…! After all my previous comparison and talk of cherry picking of the highest quality of Leica parts, you might be wondering why on earth am I drawing on the M4-P – one of the “cheap” Leicas – to make more of a comparison? Well, to start with, I own one, so it’s an easy camera to compare it to. But actually there is a greater point to this particular comparison. If you have read my review of the M4-P you will realise that I have quite the soft spot for it. There’s something about its somehow industrial-feeling simplicity that makes it feel more like a photographic tool than “Leica”. I mention this, as there is an element of this simplicity in both the look and the feel of the Leica M-A. Especially the black chrome one. The funny thing with the M4-P is that for it to feel like a tool, it feels – to me at least – as though all the Leica badges need to be hidden. As mentioned in my M4-P review I think its design somehow lacks confidence on Leica’s part. By branding the hell out of it, by emblazoning that red dot large and proud across the front, having “Leica” big and white on the front of the top plate, “Leitz” on the top and the brand name once again across the back of the camera, it could struggle to remind you any more of its maker. To me this makes the camera feel like its design somehow lacked the confidence to just exist as a tool; it had to also be a Leica. By comparison the M-A – the black one at least – almost entirely lacks branding. Now, I’ll admit here that I’m very possibly thinking about this too much, but holding these two cameras side by side it feels as though they represent the confidence levels of the company in the product they were producing at the point in time they were/are producing it. The M4-P came from a company that was just beginning to find its feet after a difficult time in its history. They couldn’t quite muster the uber-high standards of construction, so relying on the Leica name was the order of the day. By comparison, the Leica M-A oozes self confidence, there is no need to rely on the name, the brand is evident in the shape of the camera alone. 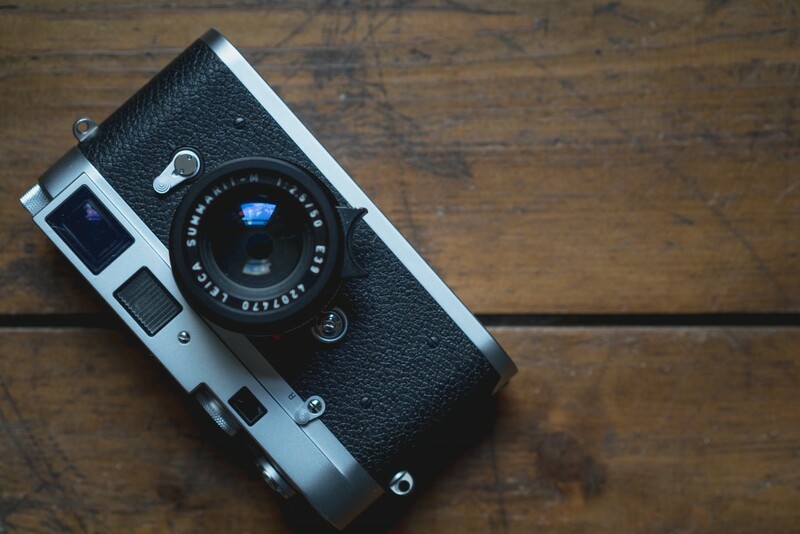 There are very few products that can rely just on their physical appearance to portray their brand – the Leica is one that manages it effortlessly. Leica having confidence to not include branding on the black version, to me emphasises a confidence in the solidity of the brand that they perhaps didn’t have in the era of the M4-P. Of course, I don’t suppose they are so reliant on the M-A as a large part of their bid to keep the company going in the same way as they were in the era of the M4-P… and it’s certainly not like they have a big R&D or tooling bill pay off with its sales. They must have had the kit needed to make this camera knocking about for years! Of course the Leica M-A does retain some of the luxury, there is even almost a slight arrogance in features like the knurled metal rewinding knob which we all know isn’t as practical as the crank on most of the post M4 cameras, but is really there just because it looks prettier. But like the M4-P, there is no shinny glossy black paint finish, just chrome. Whilst I have no doubt that Leica will eventually introduce (or at very least do a run of) a black paint version, for the time being the choice is only between a simple chrome or black chrome finish. The unbranded matt black chrome being possibly the most understated finish available for any Leica film camera to date. 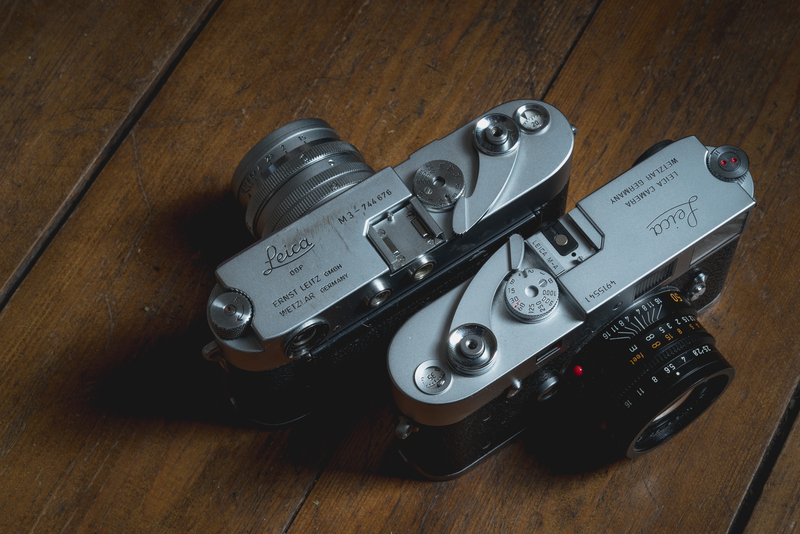 The silver chrome gives a little extra nod to Leicas of old with its “Leica” in script on the top of the camera, but even then it doesn’t feel as though it is shouting its brand. This for me all adds up to a product that feels exactly what I think a Leica should feel like. Yes there is an element of luxury, a sense of quality, or perhaps even perfection of build, but along side this comes something else, something I think is almost more evident than anything else in the Leica M-A, and that’s a sense of function. It is just what it is, a very beautifully made, simple functioning camera – like the M4-P before it – the M-A feels like a “pure” photographic tool. So after all these musings about what precisely the Leica M-A is, the question still remains as to what it’s like to use. Well since I am clearly a fan of Leicas, as I’m sure you can imagine my opinion is going to be pretty positive? It is of course a wonderful camera to use. It’s smooth in its mechanical function, the viewfinder is probably the brightest and the rangefinder the clearest of any Leica I’ve used to date. Under close inspection the fit and finish seems better too. The rewind knob doesn’t wobble when extended in the way it does on my M3, and the tension in the rewind is a lot less than that in the older knob-rewind Leicas I’ve used. The leather grip fits perfectly and feels softer and more comfortable to hold than the old vulcanite grips. And more than anything else, it just feels new! It also fulfils my preferences in terms of function and form. I prefer the slightly less functional but infinitely more pretty knob rewind. I prefer the solid metal film advance (despite the fact that they jab me in the waist from time to time), I prefer the quick loading mechanism, and favour having all 6 frame lines available and a .72x finder… and if I haven’t yet made it clear enough, I most certainty prefer the metal ISO dial on the back over and above the plastic monstrosity found on various other Leicas. Really though, beyond that, to a great extent, feels no different to using the M3, M4-P or the M2 I’ve recently had on loan from a mate. So what does the Leica M-A means for me? Outside of it crappy plastic bits, the Leica M7 – as I have mentioned many times on the blog – really is the ideal camera for me. For a larger percentage of circumstances I just prefer a built in meter and aperture priority mode. At least, this is the mantra I’ve found myself repeating… Recently, honestly, I’ve felt otherwise. Shooting with an M3, M2 and Leica M-A in quick succession often without really relying on a light meter that much has been an absolute joy. But then it’s also been sunny more recently, and shooting meterless in the sunshine is a lot easier than some of the situations within which I think the M7 shines. 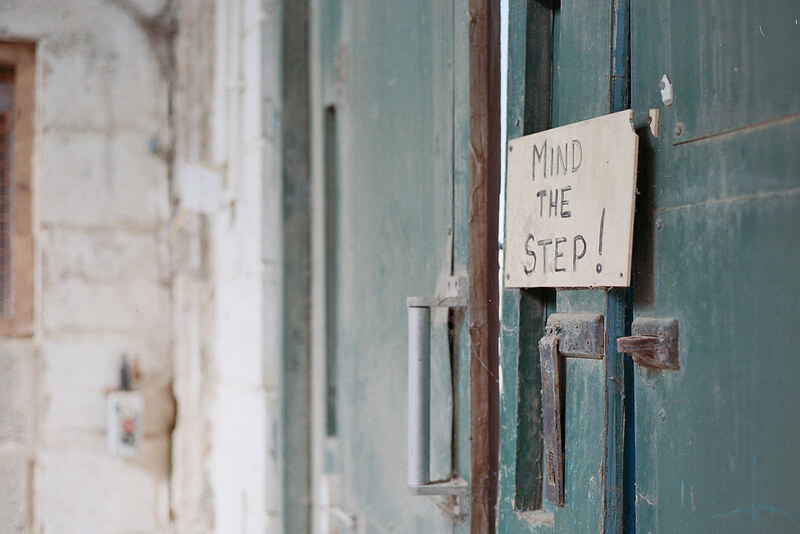 This is something I’ve been reminding myself of quite a bit whilst shooting with the Leica M-A. It’s been a joy to shoot with, but I’ve felt it important to focus myself on not getting this joy confused with the process and joys of just shooting a meterless camera. After all, I can shoot without a meter or with the help of a hand held meter with many other cameras, including the cameras I’ve been shooting recently. Moreover this also includes my Leica M4-P, which in terms of function, to all intents and purposes, is the same camera and worth around 1/5th of what the M-A would cost me… and I’ve already got one! With that in mind, why on earth would I buy a Leica M-A? Well that is of course the question I have been trying to answer for myself since I first started writing this post. 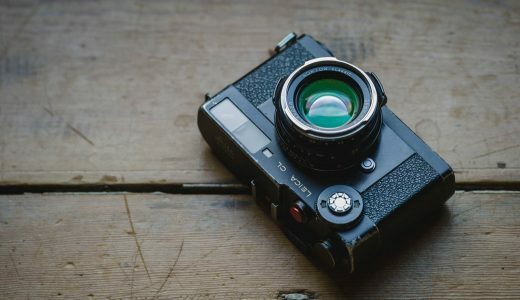 And, if this post could be considered a Leica M-A review, I guess it’s possibly one of the questions you the reader might be interested to know the answer to as well? Well, before I answer that question, the question I feel I need to answer first is one I posed earlier in the post; the question of whether or not I think it supersedes all the manual Leicas that preceded it. Or if, because of what came before, it just didn’t need to be made? For me, the Leica M-A did need to be made. Whilst I don’t think it is a progression from what has come before, I definitely think it is a refinement. Through a combination established designs and quite small refinements, it brings little that is new to the table really. But actually, to my mind that’s precisely its appeal, and indeed a big part of its justification for existence. No big changes to the design were needed, so what Leica did instead was just to completely perfect it. It might have taken them 60 years, but in the end, to me at least, it feels like this is the completion of the project; the last required iteration in the family line. Ultimately, what I think the Leica M-A represents is the 60 years of a camera’s history with a design that pays homage and is sympathetic to all that came before. A camera that represents the best achievements in a 60 year long industrial design process. A camera that is almost a perfect representation of the embodiment of everything that inspired a design that continues to provide the right haptic and mental experience for users of both film and digital. Yet it does all of these things with very little superfluous gloss, and because of that it I feel it manages to hold on to its status as a photographic tool. Something that the likes of the special edition pre-worn Leicas somehow profoundly seem to lack. The beautiful irony of all this is that on first glance, on first interaction, it might seem underwhelming. It did to me, it did to that chap on the forum I mentioned at the beginning and it has done to the couple of Leica owning mates of mine I’ve asked. After all, what is there really to get excited about? Well if you disagree with my comments above and are happy with your M2 (or whichever you own) then nothing I suppose… But if like me you can see something more, then actually I think there is quite a lot to be excited about. If nothing else, one thing that can’t be denied is that it’s a manual Leica for my generation. It gives me the opportunity, should I choose to take it, to own a new fully manual Leica from new, to be the first person to use it and appreciate it. This is something that no second hand Leica can give. So will I be buying one? Well yes I think I will. But whilst the question of “if” is answered, the question of “when” remains, and this is something I don’t yet know the answer to. Thankfully I don’t think I need to worry about it yet either. It’s not as if Leica are going to bring out the bigger, better, faster version or that I feel I’m waiting for them to bring anything else out – A feeling I still get when I buy digital cameras for work. Equally, it’s not as if they are going to stop making this one any time soon… at least I hope not. I have therefore the time to sit back and appreciate the Leicas I currently own. I have some time to work out whether or not I still feel so strongly about the way the M7 works for me, or if after some more time with my M3 I am more happy with a fully manual camera. Of course I might become impetuous and buy one sooner, but either way, it doesn’t matter because this camera – unlike every other on the market – stands as a unique product amongst its peers. It is completely outside of the usual linearity of advancement upon advancement in camera production. If I buy one now, tomorrow or in five years, it is very unlikely to change. The Leica M-A is now what it will always be, the perfect fully manual Leica rangefinder camera. Like I said on Twitter, this was a really well thought out and honest look at the Leica M-A. I completely agree that it’s underwhelming to look at the first time, and that what makes it awesome. It’s unassuming and far from pompous like some of those mega DSLRs. 😉 But when you hold it and understand what is in your hands, then, THEN you realize what this thing really is. It has soul and a design culminated from an unsurpassed pedigree (in my book) and a tool designed to do one task without any bells or whistles. Glad you got to play – and excited for the day you pick yours up. You’re right, maybe it’s the culmination of a fully mechanical M Leica. But it’s not just a brand new, more expensive M4-P. When it comes to price it’s 2 M4-P’s together, one loaded with colour and one with B&W film, one with a ZM Sonnar 50mm f/1.5 and one with a Biogon 21mm f/4.5, and throw an incident seconic lightmeter on top and a buttload of film, with some change to spare. I wish we lived in a post-scarcity society where money wouldn’t be an issue, but for now, and for those amongst us that are neither investment bankers or dentists, the M-A is a luxury that’d be great to have but not a photographic tool. Thanks for the excellent article. It’s always refreshing to read a review written by someone who understands and appreciates the Leica brand for what it is (including) its shortfalls, rather than endless remarks about how it’s ‘not as good as a 5D mk3 etc . . .
I’m glad you enjoyed it! To be honest, sometimes I feel like an imposter, like I’m commenting on things that many more have a much more in depth grasp of… So I do appreciate your comment! Just hoping that with what I’ve got lined up for review in a few weeks time, I can pull something special out the hat. Nothing like a bit of pressure? I got really exited by the title of this article, I knew nothing about this camera. I thought – until now – this was one of those perfected models in the M line. Well, at least you killed some of my GAS. Great article as always. Thanks for the heads up! Amended. A great effort & really interesting to read a review that comes without the ‘Leica expert earnestness ‘ but rather how it works & in context against how others work. I love the cameras, make no mistake but I just want to know what they re capable of & how they do it. Mission accomplished! I saw an earlier comment & think if you’ve got one in your hands, are taking shots & have the gumption to put your thoughts out there you’re more entitled than most to do so. For mine, it sounds great, but with a superb M3 in my hands I’d have to say, no compelling reason to change, given the M3 will outlast me. I agree with your suspicion, this may well be aimed at the well heeled digital owner. If I had the money & no M3, that tune may well change. All the best, look forward to seeing your next missive! Hey Ess, thanks for the feedback … Becoming earnest about Leica is something I really hope doesn’t happen to me, and is actually another thing I worry about when posting. I like to think of myself as a realistic Leica fan, I like the cameras more than the brand, so it is good to hear that I am to some degree coming across in that manner. Underwhelming, definitely. The M-A is just another of Leica’s money-making special editions selected from the parts bin. Near-zero development costs and a sky high price must make it a very profitable propostion. The 35mm film Leica I would really like to see would offer controls consistent with the M8, M9, M(240) etc., and have an electronic shutter with a reliable top speed of 1/4000 or even 1/8000 sec. Why did Leica revert to a shutter speed dial not used since the M6 Classic? All Leica M bodies since 1998 have had a larger diameter dial which rotates the other way. Anyone with a digital M will find the A-A’s handling very strange indeed. Fifteen years into the twenty-first century we should not be struggling with a cloth shutter that cannot reliably achieve 1/1000 sec. The Nikon F801 (N8008) achieved 1/8000 sec very reliably, and that camera was introduced over a quarter of a century ago. If you want to get the best out of your fast Leica glass without using ND filters, you need something much faster than the average 1/700 sec that is about the best Leica’s cloth shutters can reliably deliver. It is a production camera… Though I suspect you are just comparing it to a special edition in terms of leicas motivations? That being the case, I disagree, it is as I say in the review a new iteration of an old concept. 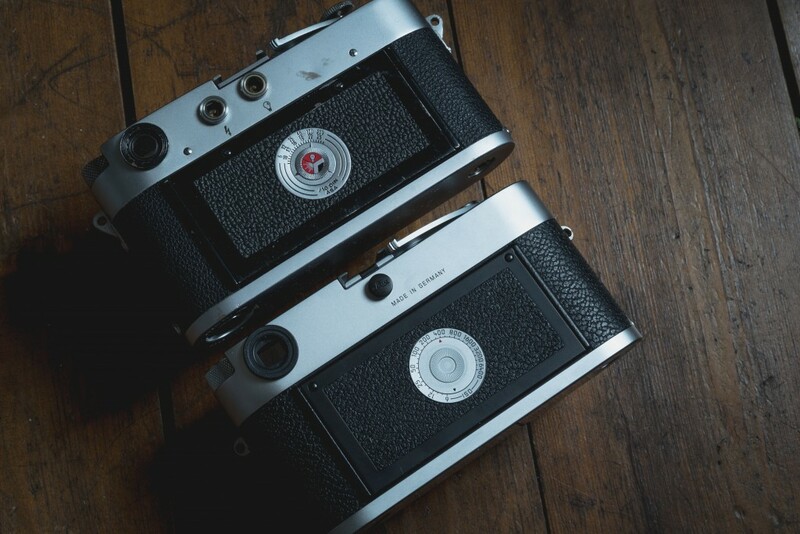 The differences are subtle, but there, just like the differences between most Leicas are subtle. As for all the extra technology they could have brought to the table … Well, if I wanted all that extra technology, I’d use my M7, which is at least a step toward that, but I don’t need or want all that stuff… I hardly use my M7 anymore, preferring the simplicity of a camera like the M-A. I personally don’t need all the extra 2/3 stops of shutter speeds up to 4 or 8000th of a second either. I never ever find the 1/1000th a limitation, and even if it became one, a few stops of over exposure is hardly an issue with film. As I say, this camera sits outside of all the bigger, better, faster upgrade linearity… And I for one appreciate it for that! Yes, exactly what you said, Hamish. You are quite clearly under the Leica spell, and I have no wish to spoil your enjoyment. However I am surprised you don’t recognise the creative value of faster shutter speeds. Do you never use fast lenses wide open, or want to? Or do you do it only in dim light, or with ISO 20 film and/or ND filters? Those of us using digital M bodies really value the 1/4000 sec fastest shutter speed, or 1/8000 with the original M8. The pleasure of using a Summilux or Noctilux wide open in daylight is beyond compare. All I was suggesting was that this could usefully be applied to a film M body. I get enormous pleasure from using my Leica glass wide open on 35mm film in a Konica Hexar RF – why won’t Leica allow me to do this? I am mystified. They seem to want me to prefer the tactile pleasures of 1954 technology. Is being able to use a 1950s or 1960s clip-on meter really a strong selling point? In the end, only the sales figures will tell the story. I cannot see the M-A outselling the MP. You chose not to comment on the inability of all Leica Ms with cloth shutters to deliver 1/1000 sec. This applies equally to every M body from M3 to M7, and by implication the M-A. Failing to hit the engraved top shutter speed by half a stop would be considered a serious deficiency in any other brand of camera. It further exacerbates the problem of not being able to use fast lenses wide open. I suppose real world performance matters little to people who prefer to simper over 1950s features purely because they are ‘retro’. It’s not a spell, it’s a culture. M2 type body, 1/1000s, cloth shutter, small dial etc. We don’t want it changed and we don’t need it to be changed. Look at how many brilliant pictures from the past decades that many great photographers make with a film M, and whatever you were saying on the specs are not essential for real photography. Fast lenses were introduced because of the need to shoot at night, the so called “bokeh” effect is cheesy and useless in practical terms. How often do you see a picture with bokeh in a serious photo exhibition?? If you need all those fancy specs, you don’t use a RF anyways, you use an SLR. But remember there are a group of people in the world that love film leicas and make great “Real” photos with them. Film Leicas are just right, not too much not to little, as these are serious tools for people who are serious about serious photography, not some toy that you use to take a picture of a flower in your backyard in daylight and blur the background. That I’m sure your fancy specs can do. Ok, look lets not turn this into some sort of forum like thread of mud slinging comments and patronising ad hominem baiting… If I wanted that I’d go kick a ball round dpr. The reality is, as Jack says, most of us shooting these “old” film cameras rarely feel and need to shoot wide open on a sunny day. You refer to this as the Leica spell, but I have the same limitations with my compact cameras, many of which don’t have shutter speeds faster the 1/500, it is those that started this blog, not leicas. I didn’t find it a limitation – as such – with them and I don’t with my Leicas. Apart from anything else, you seem to be mistaking limitations for a bad thing? 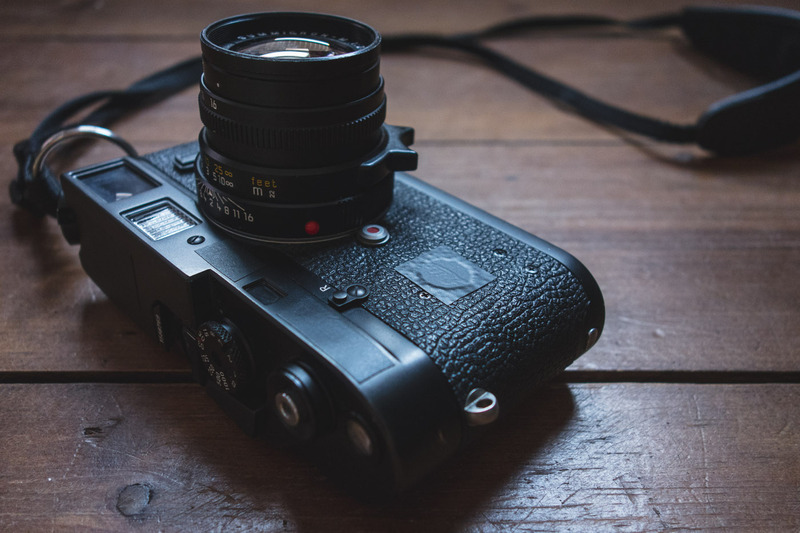 You shoot digital Leicas… Has no one ever commented to you about the lack of autofocus? To some that would be a major limitation. I imagine you are going to tell me “no one needs autofocus – it doesn’t limit creativity not having it”? Well, I’m telling you the same about my choice of cameras! I don’t feel limited in terms of my own creativity by the tools I use … Quite the opposite in fact. And anyway, you are forgetting one major thing here… Whilst the technology of the camera might have stayed still, the technology of the film has moved forward. 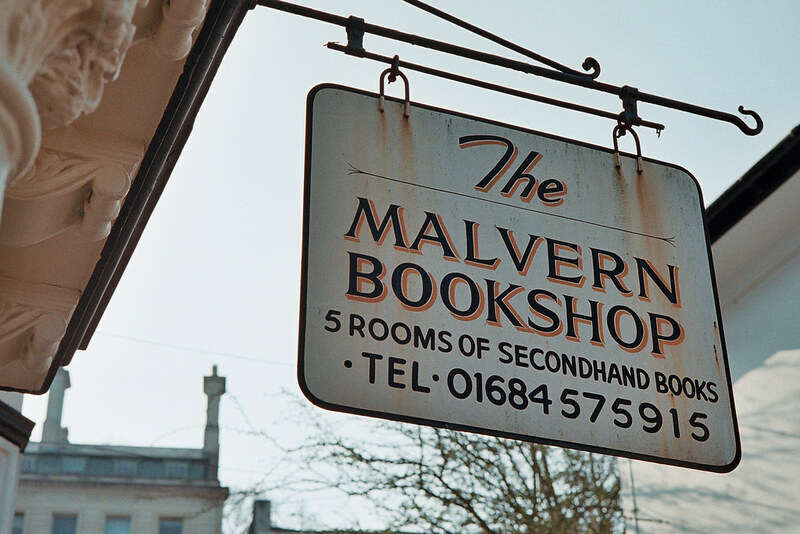 Have a look at some of the photos I posted yesterday, there are a cop up there taken at f/2 with 400iso portra in bright sunshine without any filters – just relying on the over exposure latitude of the film. If you have a look on my Flickr here, that shot was taken with a Contax iia and sonnar at f/1.5, that camera only goes up to 1/1250th – it was a rainy day, but I still had to rely on films overexposure latitude. You can’t do that with digital! But look, I’m not interested in film vs. digital, I am happy with the kit I have and what it does, I don’t find a limit when using it, and if I did, I’d use something else … Simple as that! And as for sales of cameras being any measure, we live in the age of digital photography, that’s not going to prove anything. In fact, a better example of a Leica imposed limitation would be the 0.7m close focus. If you like all the Bokeh, do you find that close focus a limitation? Surely you should be shooting one of those new fangled modern technology “slr” cameras – they can focus down to much closer distances! I would love to own an M-A and may buy one someday (its too expensive for a casual purchase). My problem is the M5. I absolutely LOVE the M5, and own an immaculate one with a spot-on meter (a spot on, spot meter no less) that is calibrated for modern batteries. Yes, it has the plastic wind cap, but otherwise is still of the old hand fit generation without cost-cutting. It has an even better than M4 loading system, the best rewind crank of all and, and, and, well there are MANY ands with the M5. I shoot a lot more digital than film, so the problem isn’t in how much I like or want the M-A, but just in justifying the cost. The M5 is a camera I REALLY want to try … I have a CL, and have started writing a post about it, but realise I can’t complete the post to my own satisfaction without trying the M5 first. I also really like a built in spot meter, though for the sake of elegance and simplicity, at the moment I am erring toward external metering – A camera for the job of taking a photo and a meter for the job of metering for the photo is a separation I am enjoying… That said though, as I say, I do feel like I need to try the M5! Say, worst case scenario the M-A cost me £3250 and lasts me only 15 years… I would expect it will last a lot longer than that, but as I say, thats worst case. £216 per year to own it… Worst case! A digital Leica – Say a Leica M-P typ 240 currently retails for £5750 … Is it unreasonable to give a camera like that a shelf life of only 10 years?? I’d say not. £575 per year to own it… Best case! For me, despite the cost of film, that makes the film Leica’s so much more affordable! Great review Hamish. All my work stuff is with high end Nikon digital cameras, my holiday and grab stuff with a Fuji x100T, but when it comes to pure shooting enjoyment, I used a Leica MP and Tri-X. I learnt long ago that the you don’t have to justify the camera you use to anyone, as long as it makes you happy. Enjoyment is the only currency that matters. The only person I argue with or justify to is myself … I make an incredibly convincing argument somewhere in the region of 100% of the time! Excellent, comprehensive review. I think the M-A should have had a built in light meter however. Even if it didn’t have an “A” mode, it wouldn’t have hurt to just have some arrows inside the viewfinder, letting you know if you were over or under exposed. That would make your photography more stripped down than using a camera that requires you to carry around a light meter everywhere you go. P.S. to the troll: I’ll take a quiet cloth 1/700 to a tectonic titanium 1/1000 ANY day. Excellent! 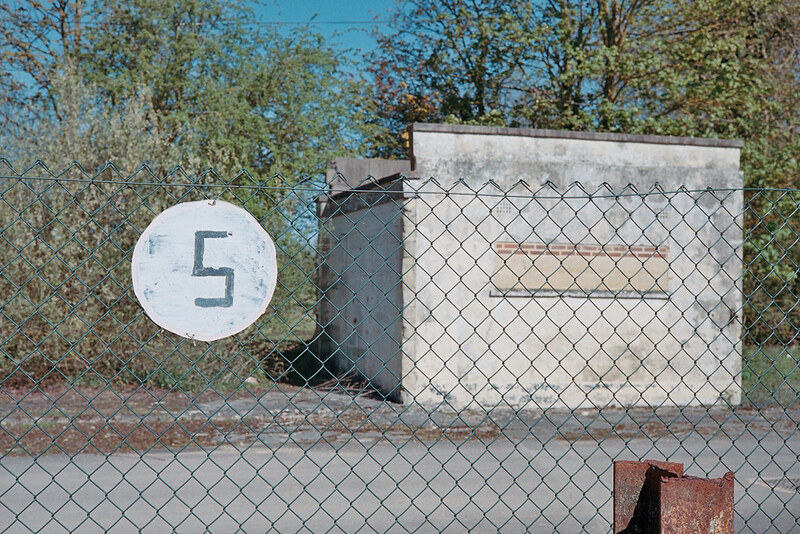 If you can take nice photos of it, you could do a little photo essay about it for the site if you’d like…? Interesting review of the M-A. Leica must think that film still has life! I do. When I set my business up 8 years ago, writing articles for newspapers and mags in English-speaking countries around the world, I set myself up with camera gear to provide pix as well. I plumper for a pair of M4-P bodies with 28/40/90 lenses and an MD2 body with 21mm f3.4 Super-Angulon plus finder. This last bit of kit is awesome in crowded cities like Oxford/London/Cambridge etc. I like the M4-P bodies and tend to use the Leicameter MR4 atop the one in use. Film runs out, just exchange lens and carry on shooting. I don’t think there is anything cheap about the M4-P, after all, in 1980 it was aimed at the professionals who had started to use the 28mm Len in preference to the 35. Hi David, I’m a big fan of the M4-P – have you seen my review? I’ve heard this MD/wide lens combo thing come up a few times recently – my equivalent is the Leica iiia with various screw mount Voigtlander wides – it’s a most enjoyable way to shoot! Thank you for your comment Sam. 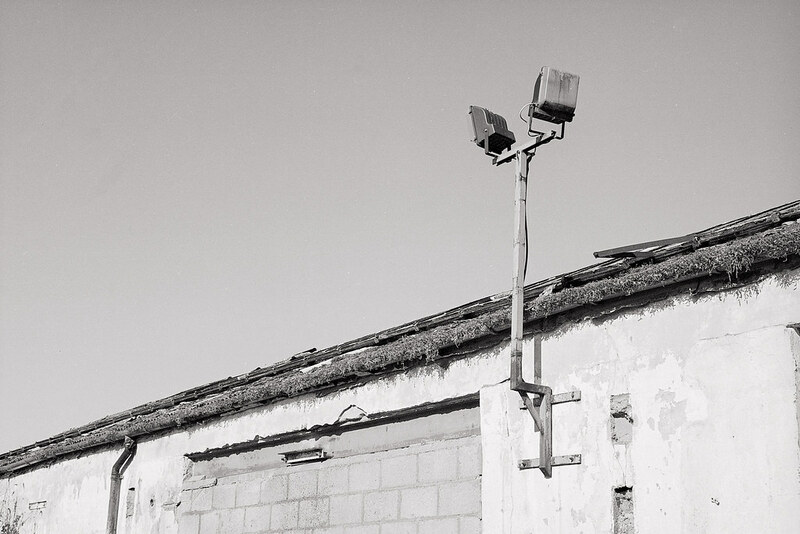 By the way, did you know that you can use the Leica motor M on the MD2? I’m not bothering because I was given a small black leather ‘man bag’ that holds meter (Gossen Multisix) and films, pens, notebooks etc and I don’t want any more weight. My MD2 and 21mm f3.4 combo get used for street shooting. This I find to be a refreshing change to my normal photographic activity. Sometimes I shoot from the chest! thanks for your great details review on the M-A , and also had to hand on it, but is it the M-P (film) is a better choice ? or even a pre-own M4/ M6 for the price to pay off? I didn’t want the built in meter as I have a M7 for that – so for me that rules out the usefulness of the M6 and MP. As for choosing the M-A over the M4, as I say in the review, its all about choice. I like the parts that the M-A is made of, and I liked the idea of a new camera. If for you the M4 is the right choice, then thats brilliant – its your cash to save! I just placed an order for an M-A with the Summilux 50/1.4, but the estimated shipping date for the camera isn’t for another month. I guess they must be selling! I really enjoy reading other people’s take on this camera. For me, I’m getting off the digital camera treadmill and back to a simpler and more satisfying photography that I began many decades ago. That was the time when photos were printed on real photographic paper, there were negatives, there was the anticipation and excitement of waiting for your photos to come back from the lab, the smell of a fresh roll of film out of the package, the act of loading a camera, of actually having to think about each photo before pressing the shutter. I used to develop and print my own black-and-white photos when I was at high school, and I may get back into that again. The art of photography and the zen-like moments are what I miss and didn’t get too often from digital because it’s so mundane: let the camera focus, let the camera choose the speed and aperture or change the ISO. Where is the challenge? Where is the satisfaction, or even the fun? I was about to get the new Sony A7R II, which seems like a great digital camera, but then the usual digital kinds of nonsense came up. It doesn’t have 14-bit RAW…does that matter? The images may be subject to moiré (on a $3200 body, no less). In 2 years there will be another, better, bells-and-whistles box for another few thousand dollars that people will salivate over. I stepped back and thought about what I really wanted, and I came to the conclusion that what I really wanted was something simpler, much simpler, more honest (none of the Velvia simulation or Portra simulation or fake B&W, or “toy camera” simulations. What I wanted was to not spend hours in “post-production” in Lightroom or (gasp) Photoshop. I’m done with that. Of course, I don’t make my living from taking photographs. I don’t have to send images to an editor by 10 a.m. tomorrow, or sell my capabilities to an engaged couple to get their wedding gig. I just take photographs for the pleasure of the creative process from start to finish. That’s why I’m getting a Leica M-A. I will never have to upgrade it. I will never have to worry about the electronics dying (as has happened to at least 2 digital cameras I owned) or not being able to find a replacement battery in years to come. As for the point that some people raise about getting a great used M3 or M6, that’s not what I want. I want a brand new, fresh out the box camera that no one else will have used before me. I don’t buy used cars, and I don’t want a used camera, even if it has years of life still in it. Just a personal preference. I will keep my Fujifilm X100S, which is a little wonder and great for point-and-shoot at parties or family get-togethers. But when I want to take real photographs, when I want to get into that creative zone, it’s going to be on this Leica M-A bare bones, incredible photographic instrument which has nothing to get in the way of what I would like to do. That’s the point I’ve come to in my decades-long love of taking photographs. It feels good. Hi Tony, you sound like you get exactly where I’m coming from! Thanks for commenting! After what will no doubt seem an endless wait for it, will you get back in touch and let me know how you get on? I will, Hamish! Actually, either the salesman misspoke or I misunderstood. The M-A is on its way to me now. It’s the Summilux-M 50/1.4 that’s on backorder. But I’ll come back with impressions and some photos, I hope in a month. Cheers! Just a quick reminder if you’re still lensless… A 50mm 1940’s Elmar will cost you about $90. A cheap LTM to M ring another $10. Very different look from an Apo-Summicron, but they take beautiful pictures. Everyone should put one on their Leica at least once. The M-A it`s a fantastic “machine” I love It.. The M3 is hard to beat, especially if you only have a 50mm. That said, if you are used to the magnification of the 240, the rest of the standard film bodies are closer to it. Do you want a built in meter? I’m guessing not from what you have so far said? Awesome article. Thank you. Much help on my recent decision in getting the MA. Thank you for this review. It was very well written. But I must confess, what stopped me short was this statement of yours: “.. as someone who’s never owned a digital Leica..”. Let me explain. I have recently stopped being a professional wedding photographer, and have also decided to sell my overly large collection of Nikon cameras and lenses, both film and digital, and go back to basics with a Leica and a couple of lenses. I’ve been toying with the idea of getting of getting an M7 and and M240-P. (Like one of your commenters here, I also like to buy new rather than used – just a personal preference). However, reading that you have never used a digital Leica, I’m wondering how it would be to just have a film camera. 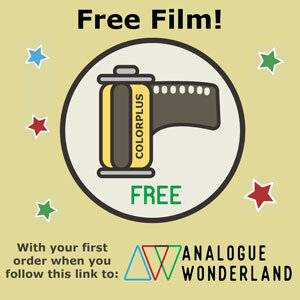 It certainly does feel like freedom and simplicity – not to mention the beauty of film. How bad could it be? Thank you. 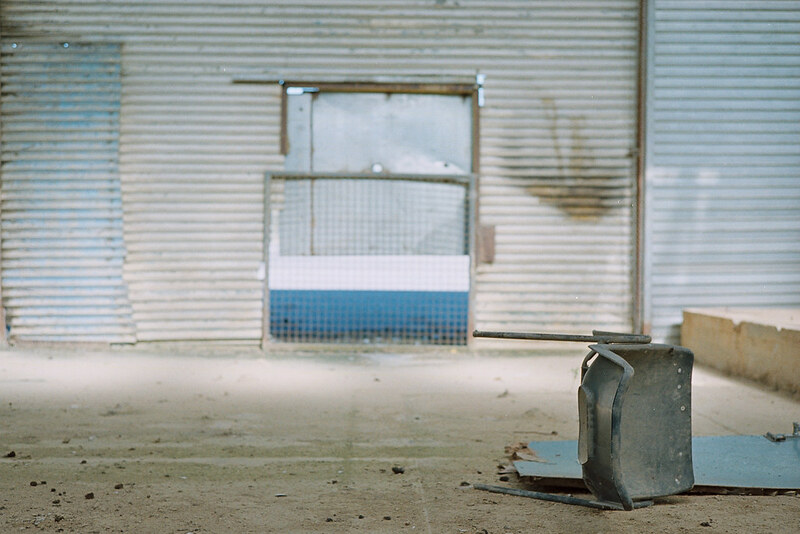 Freedom is the M-A – the M7 is a great camera which at one point was perfect for me. 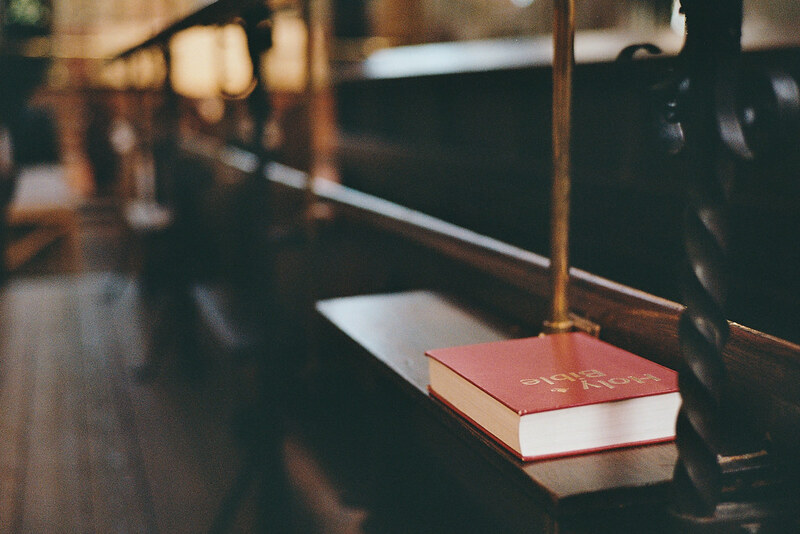 As time has gone on, my desires changed toward less bells and whistles though. All you say about the M-A sounds like music to my ears, which have heard a lot since I got them in 1944…For once I enjoyed a long review on a new Leica. Thank you so much. The only omission you made was not to mention that good idea of leaving out the” 0,72″ engraving. The article was a delight ! Anyway, I am glad to read you got so much from the review – it’s always nice to receive such feedback! 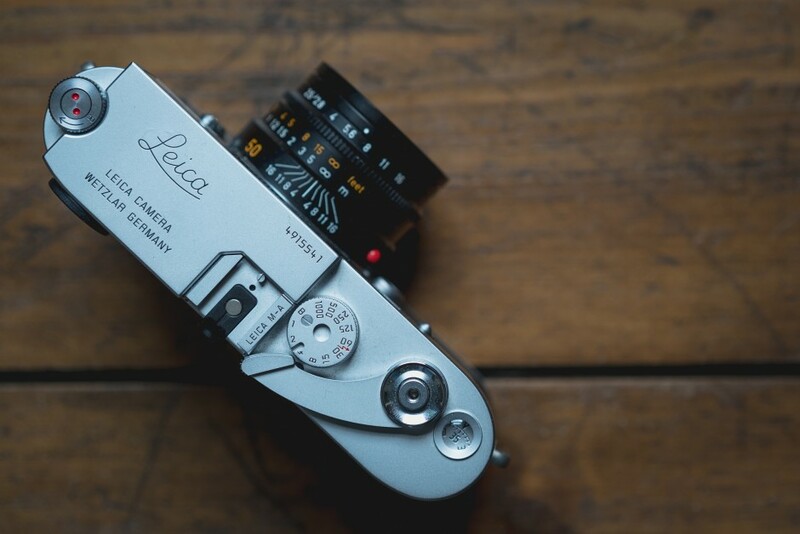 Leica M-A it’s pure simplicity and a dream to work with! No battery, and the craftsmanship it’s outstanding!!! I have the go ahead to buy the Leica M-A. Will my Minolta Rokkor 28mm lens from my Minolta CLE and Tele Elmarit 90mm lens also from the CLE be compatible? If so I presume that the Rokkor 40mm lens will also be but that the frame lines would not register in the viewfinder. Would I just need to guess the frame lines in that case? Good news – yes all those lenses will work fine! Thankyou very much for the quick response and the article on the lens was very helpful. Great stuff! Good luck with it all!! I bought the Leica M-A camera in black chrome on Friday at the shop in Mayfair. It is gorgeous! It is my first, and probably only ever, Leica. Reading through the comments above helped me make my decision. That’s great to read Stephen! I hope you enjoy yours as much as I do mine! You’ll have to let me know how you get on! I cerainly will. Best wishes. Congratulations, enjoy. 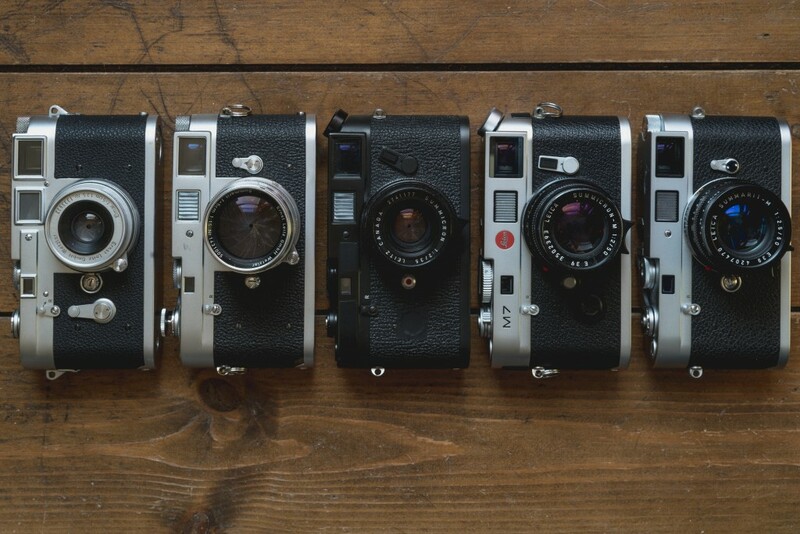 You just need one camera and that’s that’s the Leica M-A. Good luck! ??? Thanks, Jens. A lovely camera. As you say it is outstanding. A couple of people here want to buy a new Leica. I understand where they are coming from. Its a feeling that it is truly yours, yours and no-one else has used (pawed) it. Leica have obviously seen the demand for the old meterless M bodies (M3/2/1/MD/4/MDa/4-2/4-P/MD-2), check Red Dot & Aperture, Ffordes, Peter Loy. They are selling! People are using film, perhaps many are going back to it. Digital? Well, did you remeber to plug it into the mains electric last night? Now me, I pull my battered Mulberry bag off the top of the wardrobe and venture out with my 1960 M3 and 35/50/90 all f2.8, the 35 is the spectacles Summaron for the M3. Even my meter, a Weston Master V is non battery. I could cart myself off to Aleppo or Tel Aviv now and provided I had enough rolls of Ilford XP2 (the only film I use) I could bring memorable images back, assuming my boyfriend would let me go! So, just what is the M-A for? Its for those who are creative, can afford it, are confident using and external meter or very confident estimating the exposure, bearing in mind the greater exposure latitude of dear old mono. Yes, I get it. The MA could possibly be Leica’s last film rangefinder. So why did they not improve its eye relief? For eyeglass wearers like me Leicas are forever associated with squinty viewfinders which only Zeiss made an effort to correct in their superb Zeiss ZM line. Is Leica listening?